Appliance Repair Birmingham AL | Fast Repair Service | Service Care, Inc. Proudly providing excellent service throughout the Birmingham Metropolitan Area. Appliance repair or TV repair problems? Discover why Service Care is right for you. With our 1-Year Warranty on appliances, televisions, and electronics repairs, you can depend on Service Care. 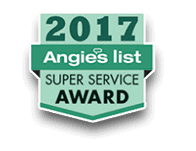 We’re the top rated appliance repair in Birmingham! Just check out our reviews! Book Online as a Preferred Customer & Save! Appliance Repair Service & TV Repair – Birmingham & Surrounding Areas! 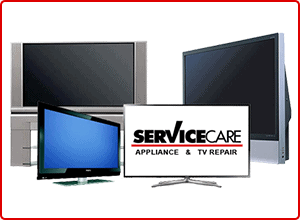 Since 1986, Service Care TV & Appliance Repair is Birmingham, Alabama’s premier TV and appliance service center. We specialize in quality in-home appliance service or you can visit us at our appliance and TV repair shop located at 2812 5th Avenue South, Irondale AL, 35210. Our in-shop hours are: Monday — Friday, 8 am to 5 pm. Saturday’s are reserved for service calls only. Save $50 Off Dryer Vent Cleaning! Includes first 10 feet on same floor. Appliance Repair Service – We Fix All Appliances in Birmingham, AL! Are you in need of quality TV repair in the Irondale area? 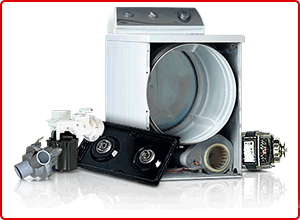 Or perhaps you’re searching for fast, affordable appliance repair Vestavia Hills service? Good news! Our Service Care technicians will come to you through the Birmingham Metropolitan Area for appliance repair Homewood, Mountain Brook, Vestavia Hills, Irondale, Trussville, Cahaba Heights, Greystone. We are a full-service major appliance repair company (not refinishing) and TV repair shop. When it comes to appliances and electronics, there really aren’t too many items that we can’t fix. If you don’t see something listed on our website, ask us; we can probably repair it! 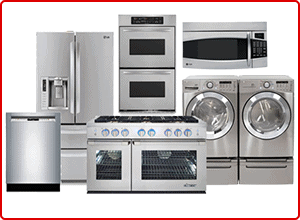 We repair all major appliance brands including KitchenAid, Maytag, Frigidaire, Whirlpool, LG, Samsung, Viking, Bosch, Dacor, Wolf, Sub-Zero and more! So whether you’re looking for fast Whirlpool appliance repair or reliable KitchenAid appliance repair Birmingham service, give us a call! The technician was friendly and fixed the problem on my Sub-Zero Refrigerator quickly. This is the second time I have used Service Care and have been pleased both times. I would definitely recommend Service Care. Excellent service. The repair on my Viking oven was handled very professionally and in a timely manner. I was completely satisfied with the service and the communication with the office staff was exceptional. Want to fix it yourself? Considering a DIY television or appliance repair? So long as you have your part number, you can get your television or electronics parts and appliance parts from Service Care. We carry many of the frequently needed parts for doing such a project on your own. If we don’t have it, usually we can get it for you at an affordable price. As a reputable TV and appliance repair service, we feel it’s important to check out our customer reviews on the web and our testimonials. Doing so will help you to compare us to any television or appliance service in the Birmingham area. If you need further information, you can use the contact form above, call us at (205) 956-3777 or send us an email at service@servicecare.net. We are a professional TV and appliance repair service that serves customers in Birmingham and the surrounding areas. How to Contact Service Care, Inc.
We provide top-quality appliance repair in and throughout the Birmingham, Alabama area. Contact us today with any questions, and we’ll be happy to help you. Also providing appliance repair Mountain Brook, Homewood, Hoover, Vestavia Hills, Irondale, Trussville, Cahaba Heights, Inverness, Greystone, and throughout the Birmingham Metropolitan Area. Appliance Repair Birmingham, AL. Providing Refrigerator Repair Service, Washer & Dryer Repair Service, Oven Repair, Dishwasher Repair, and More! Birmingham, AL - 35210, USA.